With every passing day, increasing numbers of people are becoming web designers. One of the main forums for communication among web designers, both beginners and experts alike, is the mailing list. Most mailing lists generate a substantial stream of useful, information-laden email, and the good ones enjoy a healthy gift economy. I’m subscribed to a small handful of web-related discussion lists, and the busier ones average 20-40 messages per day. My favorite list contains more useful information in a month’s worth of postings than any best selling web design book. Even when I’m not asking or answering a question, I can follow fascinating threads, picking up useful tidbits, and build rich archives of searchable information. When I ask a question, no less than two or three expert answers will appear within a few hours. The people that read lists are often successful designers and busy experts in our field. Yet even the best lists have their share of problems. I could pontificate all day on the nature of interpersonal communication, conduct, and netiquette, but instead I want to focus on email content formatting. Why is formatting so important? The sum of my personal, work-related, and web discussion list mail is about 100-150 messages per day. In order to get through that deluge, I automatically filter every message into one of several categories, then into one of about 20 folders within each category. Even though I organize all my messages, going through a mailing list folder’s 20+ new messages becomes a chore when most messages are improperly formatted. A properly formatted message is easy to read. It’s easy to respond to, and is most likely to be read by everyone and answered in a timely fashion. So how do I format my messages? There are several rules you can follow to improve the readability of your mailing list messages. The best place to start is to first read “The Beginner’s Guide to Effective email” (don’t let the name fool you, a seasoned expert could learn something from it as well). 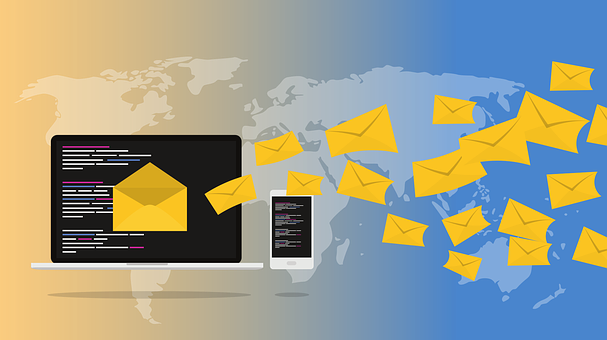 In addition to the information covered in that document, there are several other things to keep in mind that are specific to web design mailing lists. Quote messages properly. The guide referenced above has a pretty good explanation of proper quoting (scroll down the page about halfway for the section on quoting). Basically, when you’re going to answer a question, hit reply on your email client, then delete every bit of the original post except for their question. Make your quoting as short as possible, but enough to properly explain the question. If someone explained their problem in two paragraphs and then wrote a question at the end, I delete it all except for the question and maybe a sentence or two from the explanation. I like to quote enough of a question so that someone that has missed the original post can figure out what someone was asking and see my answer below. Proper trimming and quoting is especially true for digest versions of a mailing list. Some folks choose to receive a single message with a day or a few days’ posts on them. It seems to happen once a month or so, but someone will reply to the digest version, leaving all messages quoted. Everyone on the list will have to download and read a 60kb-100kb message just to read someone’s comments, and worse yet, that post will go in the next day’s digest, compounding the problem. Also remember to trim the ends of messages off. Most all mailing lists append every message with a special signature. This may be a couple, to several lines of text. If you ever catch yourself responding to a question and leaving that footer in, before you hit send, ask yourself why. If it conveys no additional information, as your answer will have it appended as well, why include it? It is useless and should be trimmed when replying (remember, your reply will carry a copy of the footer too, so if it’s useful once, it’s useless when displayed two or more times). When you read a question in a message and want to answer it, you hit reply and your cursor is usually at the top of a new message, with the original quoted below. If you start typing, your answer is displayed above the original. In fact, every email client I’ve ever used encourages you to write text above an original message when replying. Why is that? This is probably the most important point I want to make. Don’t write replies above the original message, ever. Compose replies below the original message. Imagine this example: if you left a note on the fridge for your roommates saying “When is the rent due?” and someone responded “On the first of the month, stupid”, would they write it above or below your original question? How do people on this planet read text? Some do it left-to-right, some right-to-left, but when it comes to the vertical direction, everyone reads from the top down. Reading a message like that requires me to remember the question asked, and in what context. If I can’t remember, I have to scroll down read my original post (if the recipient included it, this is even worse when they don’t include the original in replies). Reading a answer like this, after scrolling down to read the question, then back up for the answer is time consuming and if I get a few dozen messages like this a day, I won’t have time for much more than reading email. Often times, a short answer such as Sara’s email will miss some of the questions in the original post. Proper formatting could solve these problems and make life easier for both parties. My current email reader can display HTML email, but it’s not a browser and doesn’t do a very good job of it. I can quickly notice when an email comes in with HTML formatting because the fonts will usually be too small or in a serif family that contrasts to the big sans-serif font I read mail with. Sometimes an email message looks perfectly fine except for a silly signature font, or even a small picture. If you have any doubts about how to turn off all special email formatting in your email client, try checking the Rootsweb site’s How to Turn OFF HTML or RTF in Various E-mail Software Programs article. It’s also important to think about the length of your replies. All too often, I’ll see short, single sentence replies to complex questions, or short thank you notes to people that posted answers. If you’re sending a reply to a list that’s only a sentence long, ask yourself if it’s appropriate before sending. When list members get a new message, it takes some effort to read that message. If the answer is a shot in the dark, or so brief to have to be explained in subsequent emails, something is wrong. Also, thank you notes don’t really benefit any of the list members besides the person that answered the question. Send those thank you notes off list, directly to the person that answered the question. Signature files are generally a good thing, usually conveying additional contact information or a URL that other list members can look at to get a better idea of who that person is. Your sig can let others know what you’ve been up to lately, what new sites you’ve done, and what site you call home. Signature files become a problem when they are excessively long, taking up much of a message’s space. First off, remember to keep them less than 80 characters in width, to prevent the text from wrapping. A safe number for non-wrapping text would be in the range of 70-72 characters. Try to keep signatures in the three-to-six line range of length. When a sig file takes up 12 lines of text, and the original message is just a sentence or two, it becomes hard to separate the message from the signature. Originally, sig files were kept short to keep bandwidth down. With the advent of faster networks, this isn’t much of a problem anymore, but it’s still important to keep a short sig file to keep your messages concise and as readable as possible. If you consider these tips the next time you participate in a mailing list discussion, I guarantee more people will read and understand your messages, leading to more and better answers from other members. These tips will also make you a more considerate list member, as you’ll be saving people time and keeping your bandwidth use low. Enjoy and good luck out there. The Web Designer’s Forum – This list has everyone from those new to HTML to the expert designers, it’s small and information packed.